Dr Patrick Beullens is an Associate Professor in Operational Research and Management Science within Southampton Business School at the University of Southampton. PhD in Engineering (Industrial Management), K.U. Leuven, 2001, with a thesis on location, process selection, and vehicle routing models for reverse logistics, supervised by Prof. Dirk Van Oudheusden. Advanced Studies Master in Industrial Management, K.U. Leuven, 1994. Master of Science in Chemical Engineering, Katholieke Universiteit Leuven, Belgium, 1993. Associate Professor / Senior Lecturer, Business School and Mathematics, University of Southampton, England, September 2011 – present. Reader in Operational Research, Department of Mathematics, University of Portsmouth, England, June 2009 – August 2011 (*). Post-doc research associate, Centre for Industrial Management, K.U. Leuven, Belgium, 2002- September 2004 (**). Research assistant, Centre for Industrial Management, K.U. Leuven, Belgium, 1994-98. (*) Guest professor in Integrated Logistics and Supply Chain Management, Dept. of Economics, University of Hasselt, Belgium, March - April 2009, 2010, and 2011. (**) Post-doc research associate, Econometric Institute, Erasmus University Rotterdam, the Netherlands, September - December 2002. Dr Beullens is a LANCS Initiative appointee. Mathematical techniques I have applied to my research include mathematical programming (linear, integer, goal, stochastic), non-linear optimisation (variational inequalities), stochastic processes (compound Poisson and Bernouilli, queuing theory, Markov chains), exact and heuristic algorithms for combinatorial optimisation (algorithm design, automated parameter tuning), artificial intelligence (fuzzy logic, neural networks, information theory and decision trees), game theory (competitive and cooperative), and Laplace transforms (renewal theory, net present value). My current interests in popular science topics include the computational theory of mind and evolutionary psychology. CDE Centre for Defence Enterprise (Ministry of Defence, UK), project CDE11426. "Cost-Effective Inventory Management in the Armed Services through Improved ABC Optimisation." (IMAS). 08/2009-11/2009. Sponsor: CDE, MoD, k£60. With: Polaris Consulting Ltd. and Prof. Ruud Teunter (University of Groningen, NL). Function: project Principal Investigator (PI). EU Project FP7-SEC-2009-1. "Sea Border Surveillance"(SEABILLA). 2010-2013.University of Portsmouth. Sponsor: EC, 10 million euro and 240k euro for UP. With: 25 partners including Selex Sistem Integrati (lead partner), Aleania Aeronautica, Telespazio, EADS Defence and Security, EuroCopter, Indra, BAE Systems, Thales, Sagem, TNO, University College London, and the Joint Research Centre. Function: PI for UP. A collaboration between the Dept. of Mathematics, the Portsmouth Business School and the School of Creative Technologies of UP. EU Project FP7-SST-2008-TREN 1. "Logistics and Manufacturing Trends and Sustainable Transport" (LOGMAN). 09/2009- 09/2011. University of Portsmouth. Sponsor: EC, 1,82 million euro and 157k euro for Dept. of Maths, UP. With: AustriaTech (lead partner), Oxford University, Vienna University of Economics, Transfer, SYKE Finnish Environment Institute, ProgTrans, Prognos, the Institute for Shipping Economics and Logistics, and the Joint Research Centre (JRC). Function: PI for UP. SEEDA Collaborative Projects for the Development of Intelligent Transport Systems (UK). "Congestion Avoidance Dynamic Routing Engine" (CADRE). 02/2007-05/2008. CSL-CADRE-CA-07/01. University of Portsmouth. Sponsor: South East England Development Agency (SEEDA), 320 k euro with 80k for UP. With: Comsine (lead partner), Hampshire County Council, Smartcom Software, Transport Research Laboratory (TRL), and ViaMichelin. k£80 UP. Function: PI for University of Portsmouth. A collaboration between the Department of Mathematics and the Institute of Industrial Research (IIR) of UP. EU Leonardo Programme. “Master of European Business Engineering” (MABUSE), 02/2003 - 04/2004, K.U.Leuven, sponsor: EC, function: development of course material for reverse logistics. IWT Project (Belgium). “Integrated tool selection and production planning for bent sheet metal parts”, IWT-Project 000318, 08/2000 - 12/2003. K.U. Leuven - LRD, sponsor: IWT, LVD nv, 835.245 euro, function: researcher. EU Training and Mobility of Researchers Programme. “Reverse Logistics and its Effects on Industry” (REVLOG), Project ERB 4061 PL 97-0650, 01/1998 - 12/2002, Erasmus University Rotterdam, sponsor: EC, function: researcher. EU Brite Euram Project. “RailVehicle Eco-Efficient Design” (RAVEL), Brite Euram project BE97-4174, 11/1998 - 10/2001, K.U. Leuven - LRD, sponsor: EC, 13.800.000 Bfr, function: researcher. EU Esprit Project. “Reverse Logistics Chain Optimization” (RELOOP), Esprit project 25552, 01/1998 - 04/2001, K.U. Leuven - LRD, sponsor: EC, 5.000.000 Bfr., function: coordinator for K.U. Leuven and researcher. K.U. Leuven Research Fund (Belgium). Postdoctoral grant II for P Beullens. "Distribution Systems for Reverse Logistics" 05/2003 - 08/2003, 12/2003 - 07/2004. K.U. Leuven Research Fund (Belgium). Postdoctoral grant I for P Beullens. "Quantitative Approaches for Reverse Logistics" 01/2002 - 08/2002, 01/2003 - 04/2003. Zichuan Hospital China (bed allocation planning). Hamontree, C., Ouelhadj, D., & Beullens, P. (2013). Coordination single buyer-supplier with vendor managed inventory from the net present value perspective. Journal of Applied Operational Research, 5(2), 56-69. Hamontree, C., Ouelhadj, D., & Beullens, P. (2012). Coordination buyer and supplier with vendor managed inventory from the net present value perspective. Lecture Notes in Management Science, 4, 136-144. Wuttipornpun, T., Yenradee, P., Beullens, P., & Van Oudheusden, D. (2006). Finite capacity material requirement planning system for a multi-stage automotive-part assembly factory. ScienceAsia, 32, 307-317. Crauwels, H. A. J., Beullens, P., & Van Oudheusden, D. (2006). Parallel machine scheduling by family batching with sequence-independent set-up times. International Journal of Operations Research, 3(2), 144-154. Wuttipornpun, T., Yenradee, P., Beullens, P., & Van Oudheusden, D. L. (2005). A finite capacity material requirement planning system for a multi-stage assembly factory: goal programming approach. International Journal of Industrial Engineering and Management Systems, 4(1), 23-35. Beullens, P., Van Oudheusden, D., & Van Wassenhove, L. N. (2004). Collection and vehicle routing issues in reverse logistics. In R. Dekker, M. Fleischmann, K. Inderfurth, & L. N. Van Wassenhove (Eds. ), Reverse Logistics: Quantitative Models for Closed-Loop Supply Chains (pp. 95-134). Heidelberg, DE: Springer. Fleischmann, M., Bloemhof-Ruwaard, J. M., Beullens, P., & Dekker, R. (2004). Reverse logistics network design. In R. Dekker, M. Fleischmann, K. Inderfurth, & L. N. Van Wassenhove (Eds. ), Reverse Logistics - Quantitative Models for Closed-Loop Supply Chains (pp. 65-94). Heidelberg, DE: Springer. 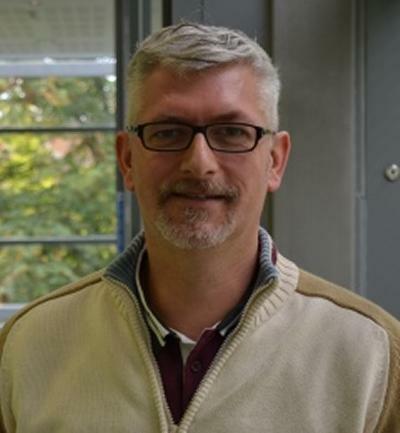 For the University of Southampton, Dr Beullens currently teaches topics in Operational Research, Optimisation, Game Theory, and Project Management. He is currently the main supervisor for the PhD of Yousef Ghiami. He was previously the main supervisor of Dr Xiaodong Li, Dr David Hammond, Dr Jana Ries, and Dr Nerda Zura Zaibidi.